Jon Filip is Norwegian, but Philippine by origin where he was born in 1983. He graduated from the Norwegian National Academy of the Arts and ever since has been working as a dancer and actor. Jon Filip performed in Cinderella by Goksøyr/Maartens. He continued his career in Carousel, which was performed in Sandefjord, Norway. Later he pursued work as a choreographer, dancer and acrobat in the new circus show PuuPääT in Switzerland. During this time he also created a short solo piece which he performed in Norway. Jon Filip has worked with Zero Visibility Corp., where he performed ...(Please)... and 37.7. He was hired by the Icelandic Dance Company for the collaboration of Ambra with Carte Blanche, and went on to dance with the company for two years. 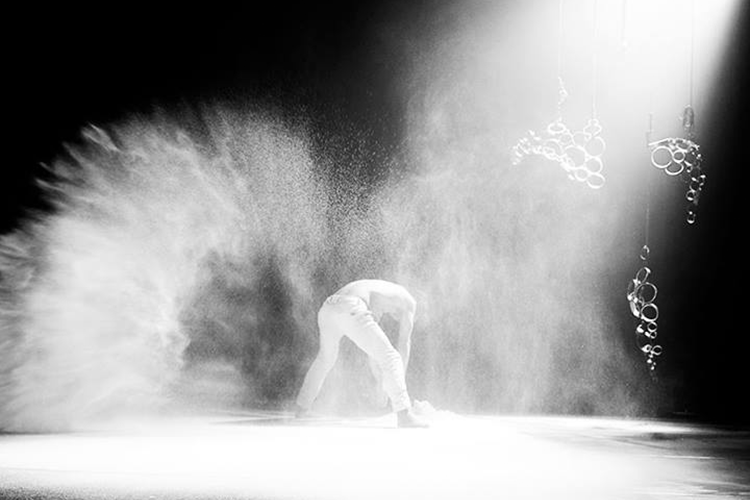 During his time in Carte Blanche, Jon Filip performed for choreographers including: Rui Horta, Sharon Eyal, Club Guy & Roni and Hofesh Shechter. In 2010 he was engaged by Eastman, where he took part in Babel (words). Jon Filip has assisted Sidi Larbi Cherkaoui with Eastman projects such as: Rein, Play, Bound, Shoes, Labyrinth and Puz/zle. He is currently performing Babel (words) and TeZukA.